According to Transit Wireless, a company formed to respond to the Metropolitan Transit Authority’s requirement for a shared wireless infrastructure for NY Transit, New Yorkers can now look forward to cellphone service and free WiFi in 30 more subway platforms over the course of 2012. So far, only two stations have been outfitted by Transit Wireless (14th and 23rd Streets), which happened late last year. The network was designed to act as a neutral host to extend a variety of wireless carrier services, and numerous carriers have already signed up (notably, AT&T and T-Mobile). The free WiFi access will be sponsored and available to all riders, which should help ease the pain of long subway commutes across the city. 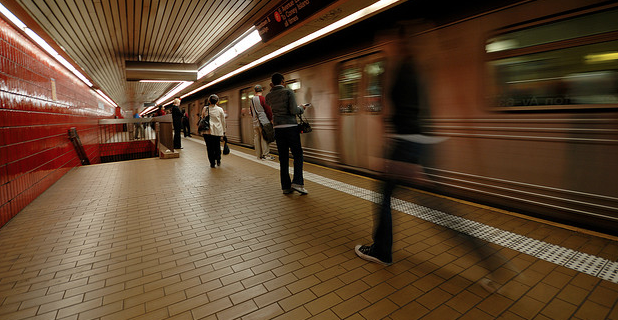 Bringing wireless service into our underground subway system reinforces the MTA’s effort to use technology to improve customer convenience that allows them to stay in touch with friends, relatives and business contacts. And by having access to real-time service status updates while underground, riders can better navigate the system. It’s a sigh of relief for me, as not having cell phone service during a long ride can be a big pain in the case of “emergencies.” That said, I’m not looking forward to hearing every rider yapping on their phones — probably the modern equivalent of the boom boxes that spanned NY’s subway stations back in the 80s.